By now, Chicago rappers either belong to one of two camps — those ecstatic by the burgeoning success of the city’s multifaceted scene or those drowning in their own tears of boredom. The good news for the latter is that even in a sea of eclectic artistry, Brian Fresco stands apart. 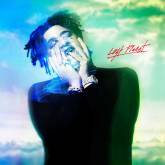 If it wasn’t for the inescapable star-power of his fellow Savemoney cohorts like Chance The Rapper, Joey Purp, and Vic Mensa, his exceptional 2016 LP, Casanova would be all the viral rage. Aside from the millennial harbinger that he first fell in love with rhyme after listening to The Eminem Show instead of Ready to Die, Fresco’s story of hustling to make ends meet in the mean streets of Chi-town is perhaps nothing new to the seasoned Hip Hop consumer. But his ability to wield and shape these narratives into tight vignettes is where his true appeal typically lies. “Typically” is the key word here. 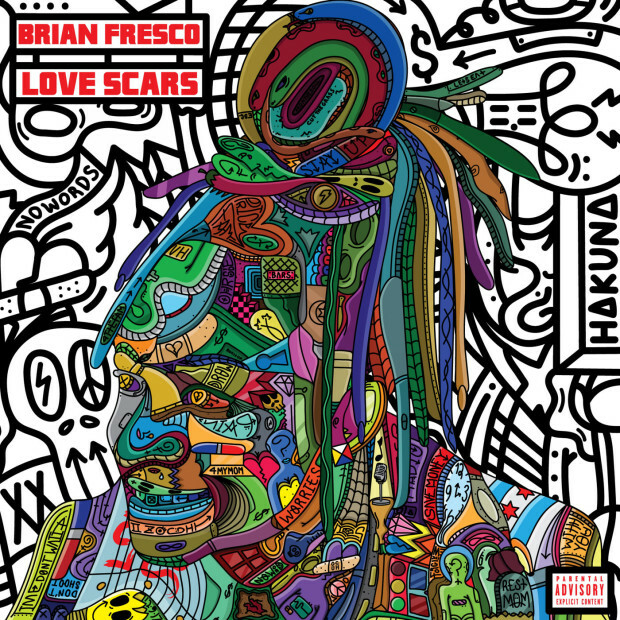 Fresco has thus far exhibited a propensity for creating cohesive, well-rounded projects, and Love Scars is in many stretches an unabashed tribute to light-hearted fun and debauchery. 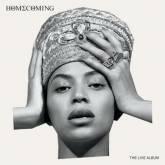 It’s not the lack of fire and brimstone lyrics that makes Love Scars a patchy listen, but the lukewarm essence sacking a lot of the material. Things do get off to an excellent start with “Had To,” where resident Savemoney member Thelonious Martin cooks up an orchestral vibe that is ripe for Fresco to grandstand triumphantly, mainly about the perks of his newfound success. 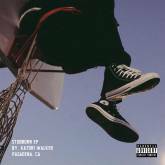 “Pull Up” and “Stay Up,” both featuring Kay Karma, are both lively and potent excursions, and Fresco is somewhat of a technician when it comes to riding the ebbs and flows of poignant instrumentals. But what follows is a large stretch of uninteresting records. For many avid fans, Love Scars will be likely their first experience with Fresco, and too many of these songs hardly do his avant-garde skillset any justice. “Bottles” may be the most lackluster release in Fresco’s entire catalog — it sounds like it was created for the sole purpose of mimicking standard radio rap fare. “Tonight” features some buttery spitting from Fresco, but Avery Storm’s generic, unrhyming “baby you’re the one” chorus renders the whole effort futile. He does rebound quite nicely with “Tatted On Me,” though, as we gain insight into his troubled background while maintaining a light, playful vibe. Fresco will no doubt be making major waves soon, but to stand out in today’s crowded Hip Hop turf, he’ll have to round out all the uneven moments of his artistry. The presence of fellow Chi-Town spitter Vic Mensa on “No Bow Wow” showcases Fresco’s true rhyme capabilities and he’ll need more moments like this to avoid forgettable, filler content on his next releases.